We are the sole owners of the information collected on this site. We only have access to/collect information that you voluntarily give us via email, or by registering on our site, or by other direct contact from you. We will not sell or rent this information to anyone. We will use your information to respond to you, regarding the reason you contacted us. We will not share your information with any third party outside of our organization, other than as necessary to fulfill your request, e.g. to translate text or make a payment. In order to use this website, a user must first complete the registration form. During registration a user is required to give certain information (such as name and email address). This information is used to contact you about the products/services on our site in which you have expressed interest or are using. We request information from you on our order form. To use this service from us, you must provide contact information (like name and email address) and financial information (like credit card number, expiration date). This information is used for billing purposes and to fill your orders. If we have trouble processing an order, we’ll use this information to contact you. Any content you submit to Pairaphrase LLC will remain confidential and will not be indexed by any search engines nor shared with any third parties. Neither Pairaphrase LLC nor Microsoft claim ownership of the content you submit to the Service. Your content remains your content. Pairaphrase LLC and Microsoft do not control, verify, or endorse the content that you, and other customers or others submit to the Service. Pairaphrase does not return any translations (no trace) to Microsoft or any third parties. You hereby grant to Pairaphrase LLC and its affiliates, the right to keep a copy of and use the content you submitted to the Service, for the exclusive purpose of improving the Service. Pairaphrase LLC will not otherwise disclose the content to a non-affiliated third party, except in presenting the results from the Service on the Application and where required by law. Improving the Service will include Pairaphrase LLC and, occasionally, Microsoft using your and other customer’s submissions to derive statistical and quantitative information about the text being translated, in order to help build and apply appropriate models to optimize your translation experience. We take industry standard precautions to protect your information. When you submit sensitive information via the website, your information is protected both online and offline. We use SSL encryption to protect the confidentiality of your personal information. Pairaphrase LLC does not store credit card information in its systems. All purchase and payment fulfillment are provided by Stripe. The computers/servers in which we store personally identifiable information are managed by Amazon Web Services. For more information on Amazon’s security measures please visit http://aws.amazon.com/security/. 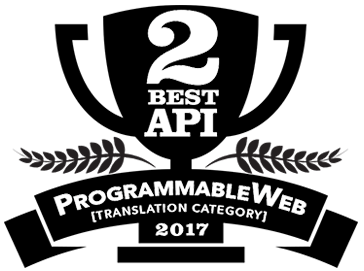 Automatic translations are prepared using the Microsoft Translator API. 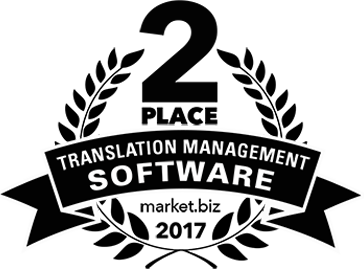 This is a secure, paid, no trace service for automatic translation solutions. For more information on Microsoft’s privacy statement visit http://privacy.microsoft.com/en-us/fullnotice.mspx.